WSWI began broadcasting in 1947 as WIKY, a commercial station. In 1981 the frequency was donated to the University by South Central Broadcasting. The terms of the donation required that the station be operated non-commercially. 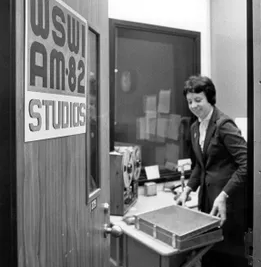 On November 3, 1981, WSWI went on the air as a University of Southern Indiana radio station. Professor Seymour Brodsky, having used WSWI for several years in the University Radio Production classes to represent "Southwestern Indiana" suggested the call letters. In 1999, Professor John Morris began to run the station. 1. 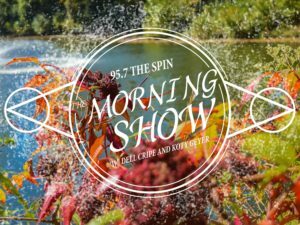 To provide the community - students, faculty, administration, and the surrounding local population - with radio programming that serves the public interest. Programming includes entertainment, news, sports, and public affairs programs. 2. 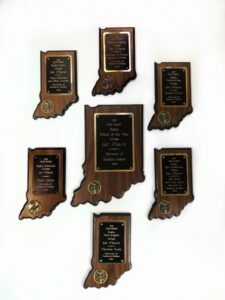 To provide University of Southern Indiana students with a facility to gain experience in all aspects of radio broadcasting. This includes programming, production, news, sports, and other areas. 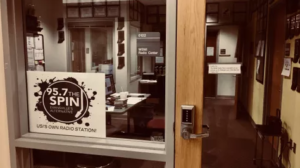 That station works to not only supplement the Department of Communications and Radio/TV majors, but to also give opportunities to students from all majors.